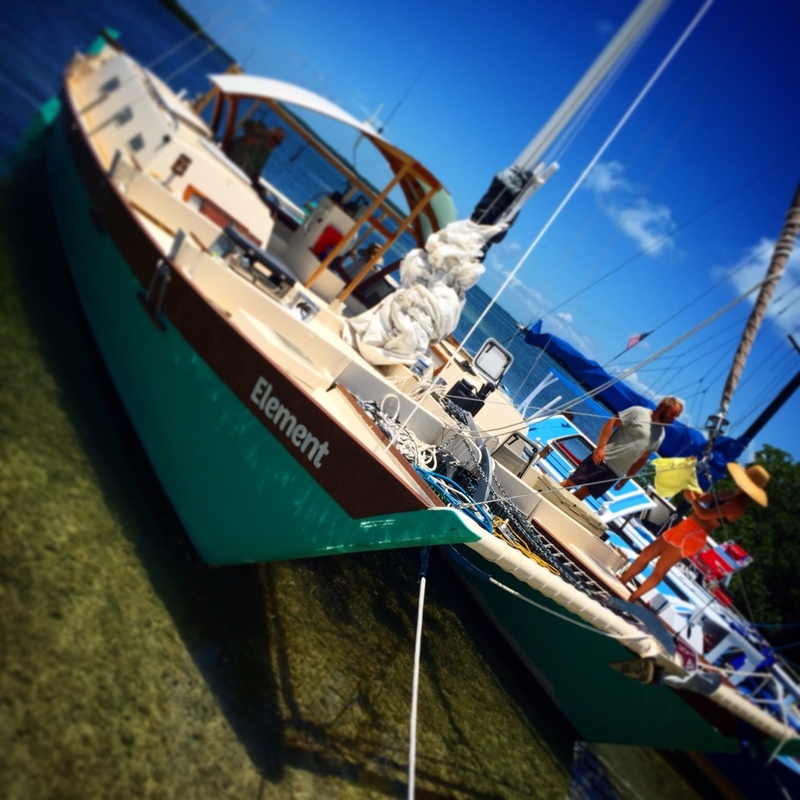 For example, I’ve just spent, in various stages, a year or so building Wilber, our 21 foot Tahiti Wayfarer. We took him down to the Sea of Cortez as the outrigger canoe version of the plans and lived on a beach for two or three months. 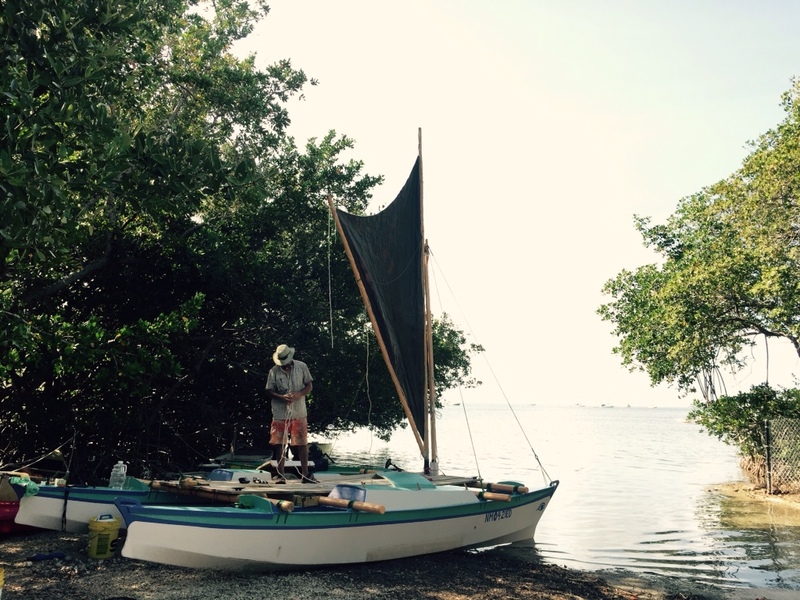 We learned that for remote area expedition journeying the outrigger canoe could not carry the weight we wanted; food and water for a few weeks plus cameras, batteries, solar recharging system and recreation gear for fishing, snorkeling etc. Aargh, six months of plotting and planning and it could not work! So we chose to go back to Santa Fe, NM and I built the second hull; double the hull size and split the weight, right? No… it didn’t quite work out that way. Yes the theory was correct, two hulls instead of one and split the weight between the two, but and this is a fairly substantial but. When loaded, he still moved through the water like a slug and the drain holes remained at the water line which meant water would flow in as much as flow out. Yes I could modify Wilber further and make these issues go away. However in doing so I would be moving further from the original design and slowly turn the Wharram designed Tahiti Wayfarer 21 into something else entirely. Now as much as I love modifying stuff, I believe that the Tahiti Wayfarer 21 is a delightful boat when used within the parameters of its original concept, which is a day boat, a raid boat, for going out and having fun in. Short multi day journeys are well within reach, if done with an ultra light mindset, keep the waterline minimal and the Tahiti Wayfarer will skip, dance and keep a big grin upon your face, even more than suntanned boobies; forgive me… I am a boy. Load him up and sit the hulls deep in the water and a lot of wind is required make him move. When you’ve got the wind needed you’ve also got lumpy seas and that makes it even harder to make any decent way. Tacking through the wind?…forget it, as soon as drive is gone so is forward movement; get out a paddle and push through…while going backwards. Wilber will tack, in flat water with low loads and high winds, we proved that in Puenta Chueca, Mexico, however this very specific situation cannot be expected on a regular basis and so does not make Wilber the craft we need for what we want to do. And that brings me to our current position in time and space of asking, ‘what have we learned and where are we going?’. Good question, got no idea,…yes I do, of course I do. Every time this question is pondered, and it should be pondered at least once a day, we should come up with knowledge of our actions, their effects and how to apply that knowledge to good effect for our future; holy crap, that’s a bit philosophical,…I need another rum. What we do know is that Wilber cannot provide that which we need and so must go on to another owner who has dreams of playing around and laughing a lot. He must make way for a larger Wharram that can carry all of our detritus that we seem to need, a lot of which we probably don’t need but cannot seem to lose. We’ve recently left the Keys to hopefully visit a Wharram Tangaroa project boat. That’s right, another situation that needs a lot of work with no real guarantees, but it feels good so we’re investigating it. It might end up something like the one above.